Good write up. Prices and costs vary greatly depending on location as well as season as you noted. Here in Vermont we get 800 lb round bales of hay delivered for $40 to $50. 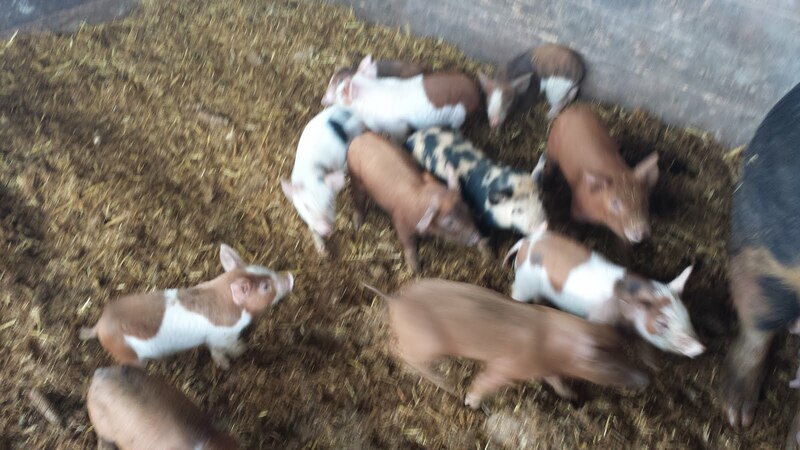 We sell piglets for $100 to $150. We get $3.50/lb hanging weight for our pork. I don't have feed prices since we don't feed grain but the numbers you gave sound reasonable. Slaughter is $30 to $45 around here and butchering is $0.45 to $0.70 per pound of hanging weight depending on the butcher. Thank you for the comments. Your pigs are butchered USDA inspected? That's one thing that we really don't have a good location for in washington, so I am limited to selling halves or whole to individuals, but cannot sell to food establishments or use the meat as ingredients in value-added products without quite a bit of time and labor. Thanks for all that info! One day I'd like to raise a pig, not at all interested in supporting the factory farming by buying pork anymore, not even bacon.